Hey ya’ll! It is that time of the year where we have covered all of our reading skills and we’ll spend the rest of the year reviewing. 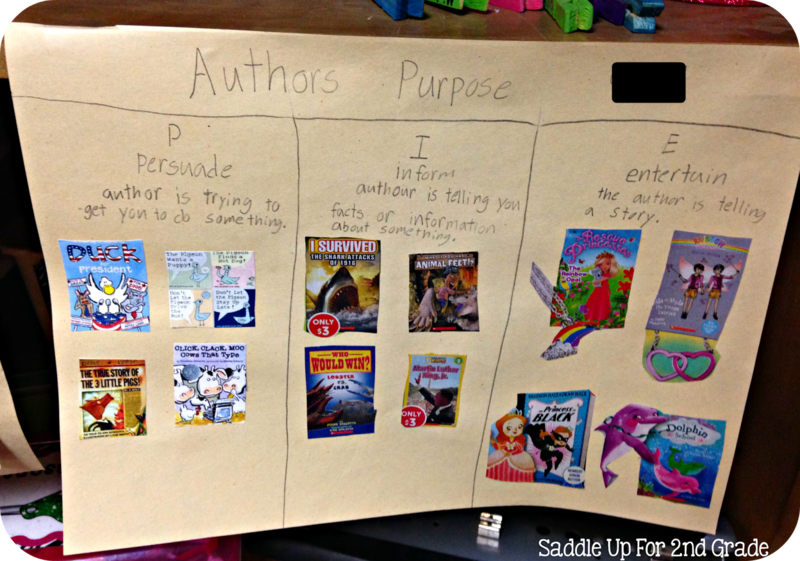 Last week was all about author’s purpose and we all know that this can be a tricky thing for 2nd graders to grasp. 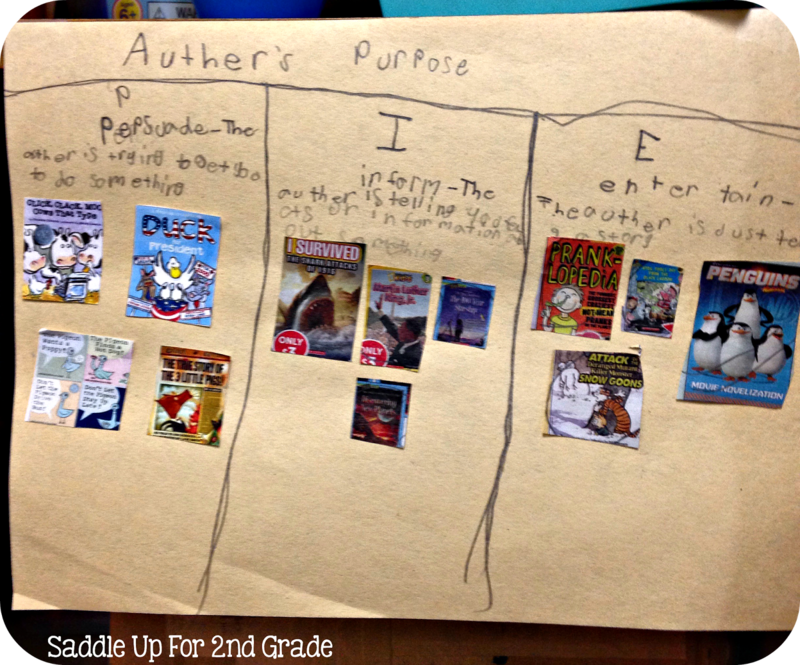 We learned all about author’s purpose earlier in the year and I wanted to do something fun to review. I’m sure you are like me and always have extra Scholastic order forms lying around. They either send way to many or you have stacks that just don’t ever get send out. Why not put them to good use?!? 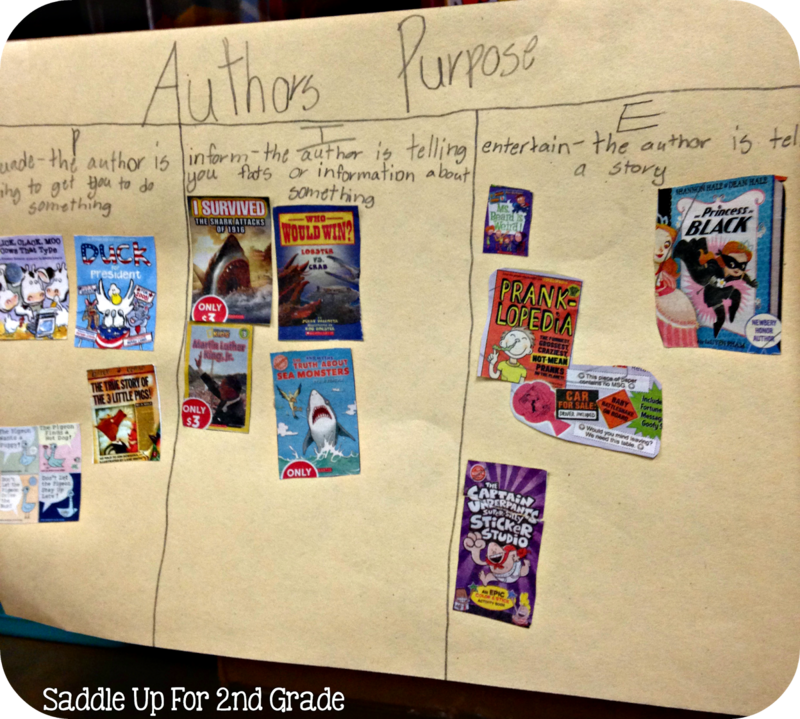 After reviewing the three types of stories, my students created a simple graphic organizer on plain drawing paper. 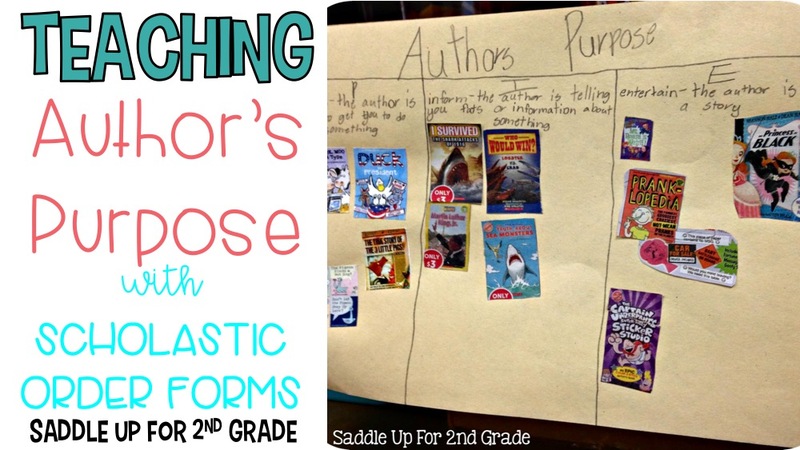 I gave each child a Scholastic order form. 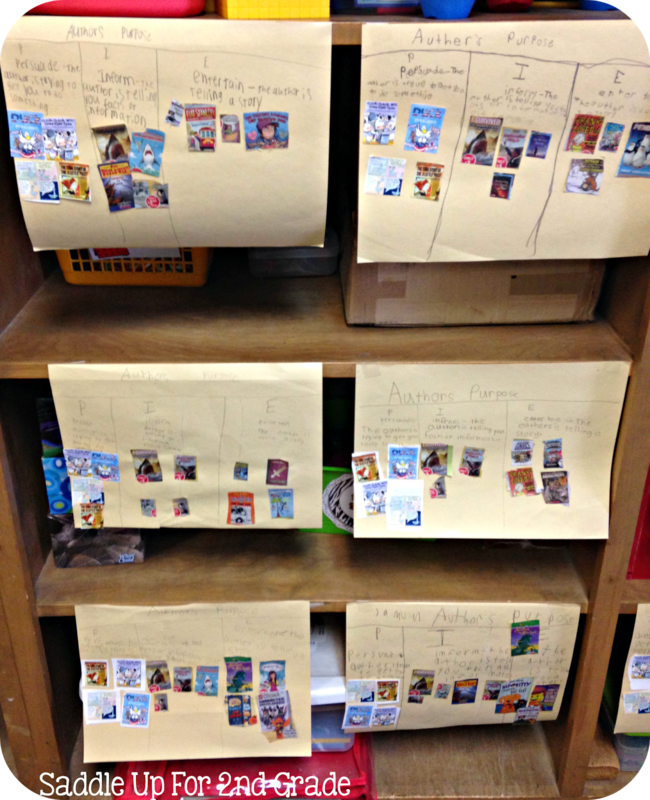 It was their job to find 4 examples of each type and sort them onto their paper. They did really well with each type except for persuade. This was tricky for them because a lot of the stories in the order form they haven’t heard before and I hadn’t either. So we brainstormed a list of books that we have read as a class that fall under that category. While they were searching for inform and entertain, I printed off the covers of some of the books we came up with as a class. All of their “P” books are the same but everything else they did on their own. 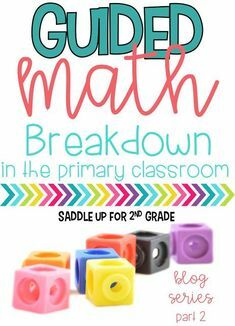 This activity was quick, easy, and required NO PREP! Even my lower learners were able to do this without much guidance. It is visual, hands on, and ENGAGING! They are proudly being displayed along the bookshelves in the back of our room. 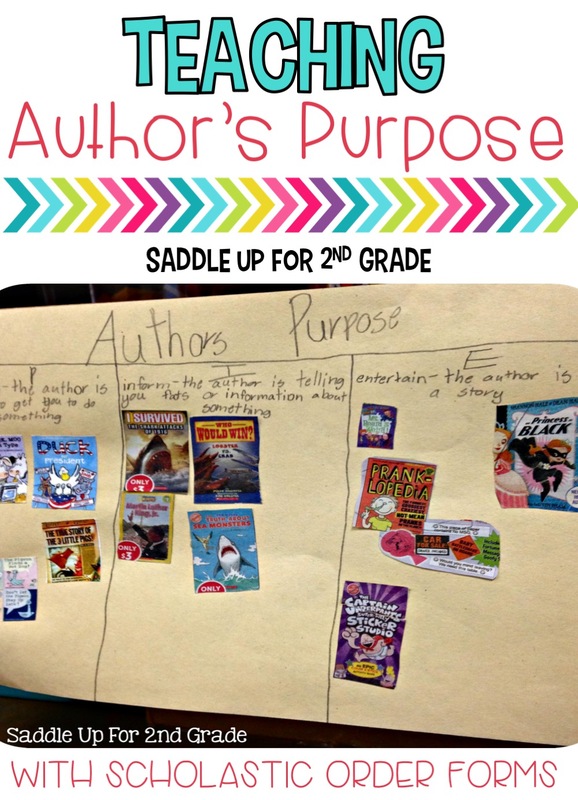 I’ve seen them use these as a reference poster for what type of books they want to get from the library and that makes my teacher heart happy! So next time, don’t throw those old Scholastic order forms away!